Ireland is both the name of a country and an island. But the country is not equal to the island, and the island is indeed divided into two countries: the Republic of Ireland and Northern Ireland, which is indeed not a country, but part of the United Kingdom of Great Britain and Northern Ireland. Still, the inhabitants of the island of Ireland are called Irish. The division is a long and complicated story. Too long and complicated to fit in this blogpost. Sport is sometimes uniting the country, oh, sorry, the island of Ireland, particularly rugby, as the national team of Ireland has players from both the Republic of Ireland and Northern Ireland. In football, Northern Ireland has its own team, so does Eire (aka the Republic of Ireland). In the Olympics, to make it more complicated, Northern Ireland competes under the flag of United Kingdom, and Eire as Eire. To confuse you a little bit more, I will add that Ulster, one of the four provinces of the island of Ireland, has nine counties, six of them forming Northern Ireland, the three others being part of Eire (Republic of Ireland). It is therefore possible to be in Ulster without being in Northern Ireland, but not to be in Northern Ireland without being in Ulster. Got it? I went to Northern Ireland just before Christmas 2014 with my future wife via a direct flight from Reykjavík (Iceland). I visited Dublin, the capital city of the Republic of Ireland, in August 2015, via a direct flight from Reykjavík too. It was my first official trip abroad with my wife, as a just-married couple. 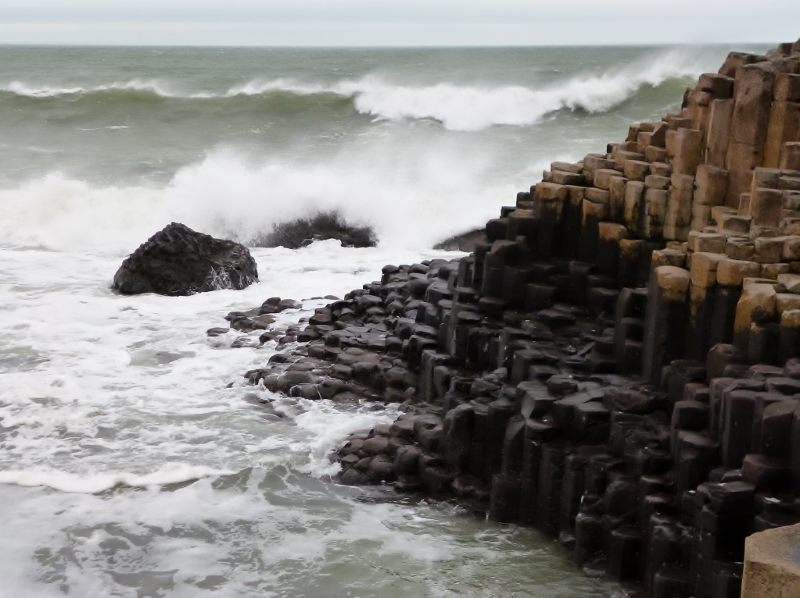 The small trip to Northern Ireland was divided into two parts: Belfast and the Giant’s Causeway. No wonder the Giant’s Causeway is amongst the natural wonders of our planet, it is a truly magic place, with unique lava formations hit hard by the ocean’s waves. The kind of place that makes you feel one with the nature. The kind of place to visit briefly in December because it is kind of cold and windy. Belfast is now attracting tourists, after a long period of instabilities. Its indoor market, with live music, was a highlight, just overshadowed by the impressive Titanic museum. The weather was friendlier in Dublin, as it was summer. No heat wave though, but warm enough to feel regularly the need to enjoy a Guinness beer. Dublin, with its more than 1 million inhabitants (Eire being inhabited by slightly less than 5 million inhabitants) is Guinness City, and it is easy to figure it out. 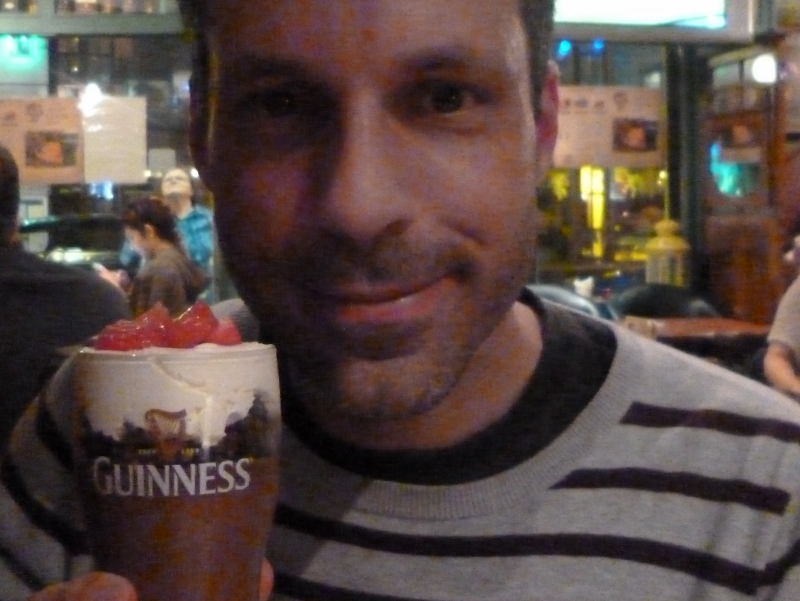 Guinness in every pub, Guinness sauce for the meat, I even got a Guinness chocolate mousse as a dessert. No Guinness at breakfast, even if it could fit well with the light and easy-to-digest Irish breakfast. Guinness is everywhere, live music and dance being not far away! I was lucky enough to sleep inside of the other main attraction of the city (apart from Guinness), Trinity College, home of the Book of Kells, one of the world’s most famous books, an illuminated manuscript from the Bible dating from the year… 800. 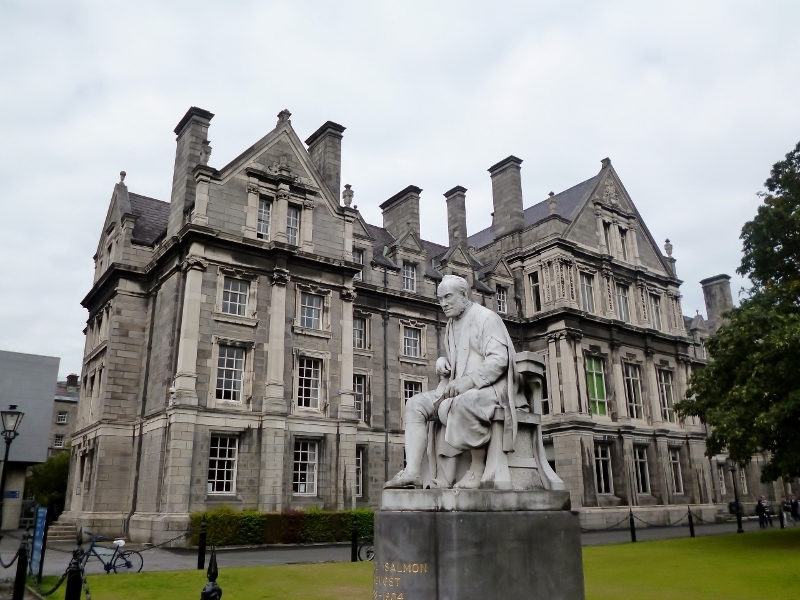 The library of Trinity College is worth a visit in itself, not just for that famous book. Among other things, a cruise on the River Liffey and a dance show completed our long and nice weekend in Dublin.